Neurosurgery (or neurological surgery) is concerned with neurosurgical conditions, their diagnosis, treatment, and rehabilitation. These conditions generally affect the nervous system including the brain, extra-cranial cerebrovascular system, spinal cord, peripheral nerves and intracranial hemorrhage. 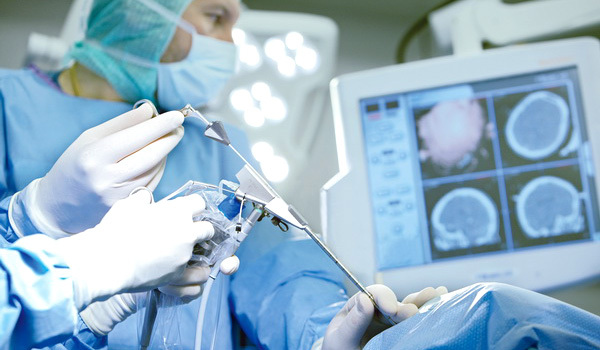 Stereotactic neurosurgery, functional neurosurgery, and epilepsy surgery. Vascular neurosurgery and endovascular neurosurgery. Neuropsychiatric surgery (neurosurgery for the treatment of adult or pediatric mental illnesses). Oncological neurosurgery (also called neurosurgical oncology; includes pediatric oncological neurosurgery). Pediatric neurosurgery (for cancer, seizures, bleeding, stroke, cognitive disorders or congenital neurological disorders). Geriatric neurosurgery (for the treatment of neurological disorders and dementias and mental impairments based on aging like Parkinson's disorder, Alzheimer's, multiple sclerosis, concussion, or neurovascular cause- namely seizure, tumor, and similar disorders).